MPHS Tigers Sign to Play College Football. 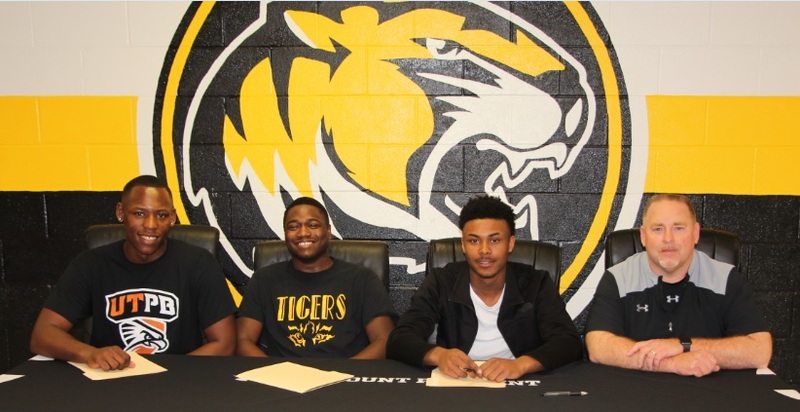 Mount Pleasant High School seniors Jashon Pogue, Josh Morris and Dorian Glinton signed letters of intent to continue their football careers on National Signing Day, February 6, 2019. Pogue, the son of Jason and Krista Pogue, will play for the Falcons of UT-Permian Basin, a public division II school in the Lone Star Conference located in Odessa, Tx. Morris, the son of Marsha Morris, will play for the Falcons of Friends University, a private university in the NAIA division located in Wichita, Ks. Glinton, the son of Deanna Williams, will play for the Rangers of Kilgore College, a two-year junior college located in Kilgore, Tx. 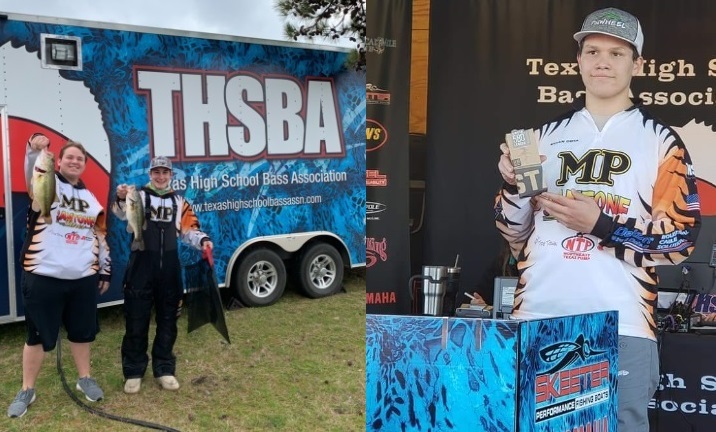 MPHS Fishing Teams Strive for State Tournament. The Mount Pleasant High School Fishing Team has been active since this fall with the ultimate goal of qualifying for the state tournament. 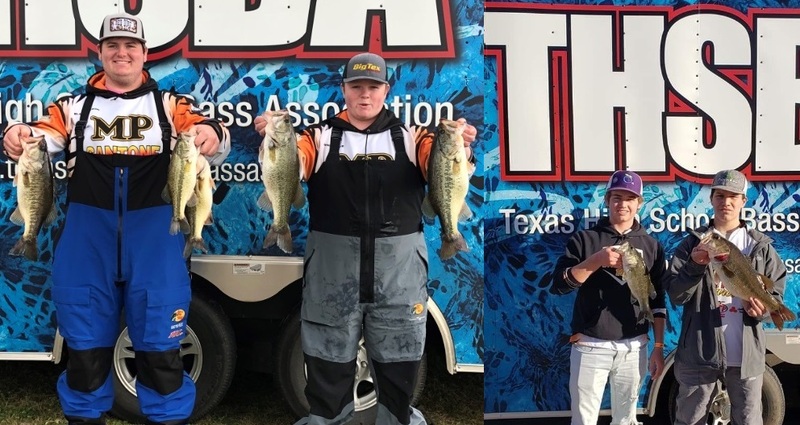 Most recently, the team of seniors Blake Denson and Rance White placed 2nd at Lake Bob Sandlin on February 2, 2019. Denson and White were just 0.72 pounds behind the 1st place team. They were each awarded a $500 scholarship. Overall, MPHS placed 2nd out of 21 schools in the tournament. Other team members contributing towards the 2nd place team finish included Tyler Welborn and Zane Phillips with a 19th place finish, Jordan Boyd and Hunter Mayfield coming in 22nd, Ethan Cota and Bryce Bartlett finishing 43rd, and Tyler Miklos and Zeth Whittington placing 71st. Earlier in December, Ethan Cota won the “Big Bass” award for the Big Bass of the day in the Lake Palestine tournament. He and his partner Bryce Bartlett placed 7th out of a field of 113 teams. Cota received a plaque and a pair of Costa sunglasses for the catch. MPHS as a team is currently sitting in 4th place with one tournament left before Regionals. The team will be on the water again on March 2nd on Lake of the Pines. Mount Pleasant High School HOSA Members Advance to State. 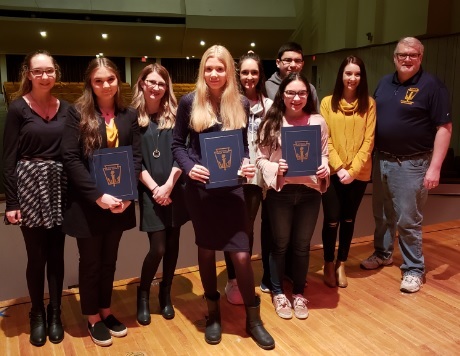 The Mount Pleasant High School chapter of HOSA: Future Health Professionals competed in the HOSA Area 3 Leadership Conference on February 1 and 2. The conference was held in Plano and hosted over 1800 students from 123 schools. Six Mount Pleasant High School students advanced to State. The team of Sashi Poudel and Tairelle Chong took 1st place in Health Education, qualifying them for the state. In Outstanding HOSA Chapter, Alyssa Reynolds and Grace Whitten will represent MPHS at the State competition. Also, in Health Care Issues, Abby Mason and Paula Flores have advanced to state. 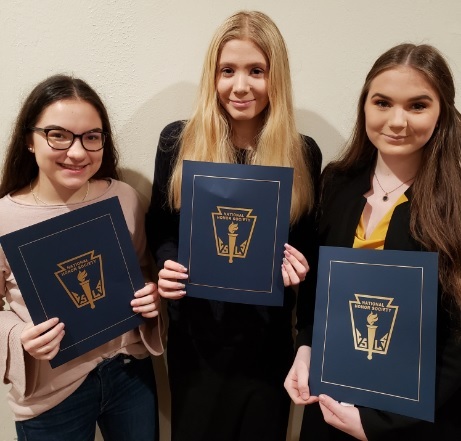 Students from MPHS who placed in their events include Savannah Finigan who earned 5th place in Home Health Aide and Alyssa Reynolds who placed 5th in Medical Law and Ethics. The HOSA State Conference is March 27-30 in San Antonio. MPHS HOSA advisors include Suzy Whitten, Kristi Houchin, Angie Ayers, and Shari Cabell. The Mount Pleasant High School National Honor Society inducted three new members Thursday morning. MPHS is hosting several foreign exchange students this year, and three met the criteria for honorary membership. Honorary inductees included Amanda Andersson from Sweden who is hosted by the Webb family; Linnea Lindeblad from Sweden who is hosted by the Rose family; and Laura Hochleitner from Austria who is hosted by the Courreges family.